Basketball 2019: RallyPlayer Registration Basketball · Any For Everyone! 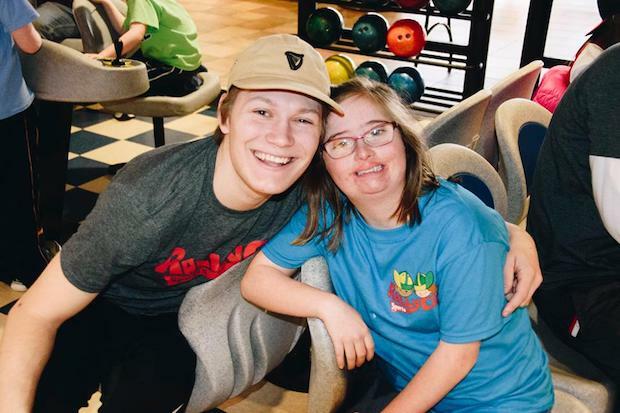 People with special needs should be able to play sports just like everyone else - welcome to RallyCap Sports! 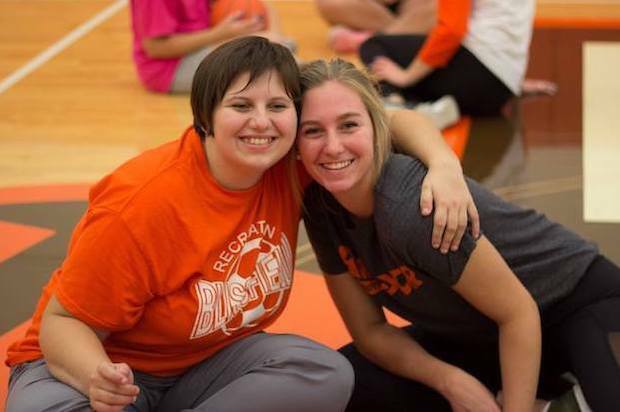 Come play basketball with BGSU student volunteers! 3-week basketball season (2/17, 2/24 and 3/3 from 4-5 at the BGSU Stroh Center) of having fun, being healthy, and making new friends! Open to all boys and girls, ages 7 and older, with any types of special needs. 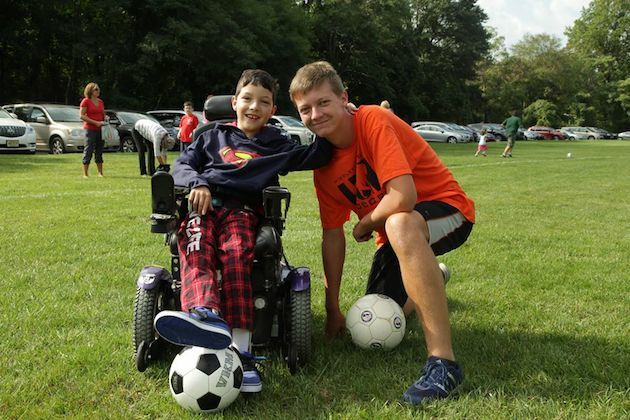 Each participant will be matched up one-on-one with a BGSU student-volunteer and they will do all activities together! One parent or guardian must be present at each session at all times. You will be able to sit in the bleachers and enjoy watching your child have fun, or feel free to join in on the fun! The $20 registration fee goes toward a trophy at the end of the season for each player and helps us with facility and equipment costs. We have scholarships available for players who are not able to pay the fee, please contact us for more info (bgsu@rallycapsports.org). We want everyone to have a chance to participate! 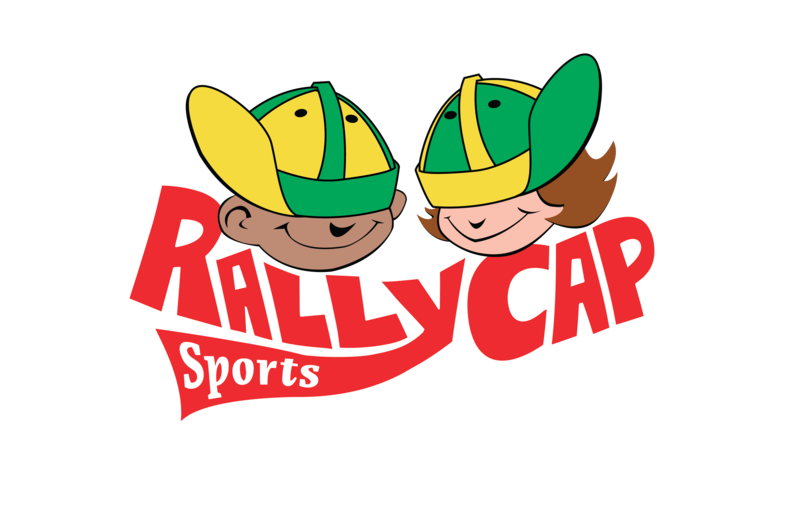 You will have the opportunity to purchase a RallyPlayer t-shirt for your player and/or a Fan t-shirt for you or any other fans of RallyCap Sports during registration, please let us know if any questions. Wear tennis shoes and bring water! ***Text Alert System Change: We have moved to a different text alert system that works better with our website and online registration. You must have an account on our chapter website (the same account you use to register) and you must click on this link (https://rallycapsports-bgsu.leagueapps.com/sms), sign in and follow the instructions. Once you have opted in for text messages you will automatically receive any text alerts for any sport that you are registered for at any time of the year. Thanks so much for your interest, and we can't wait to see all of you there. Together We Rally! Check out this Basketball league 'Basketball 2019: RallyPlayer Registration' with RallyCap Sports BGSU!